Metepenagiag Heritage Park has groomed walking trails perfect for walking enthusiasts or for a quiet interlude to enjoy Mother Earth and her bounty. Walk in the footsteps of our ancestors. The trails total 1800 meters and a walking time of 30 minutes. Be sure to wear proper footwear, bring plenty of water to stay hydrated, and enjoy yourself. 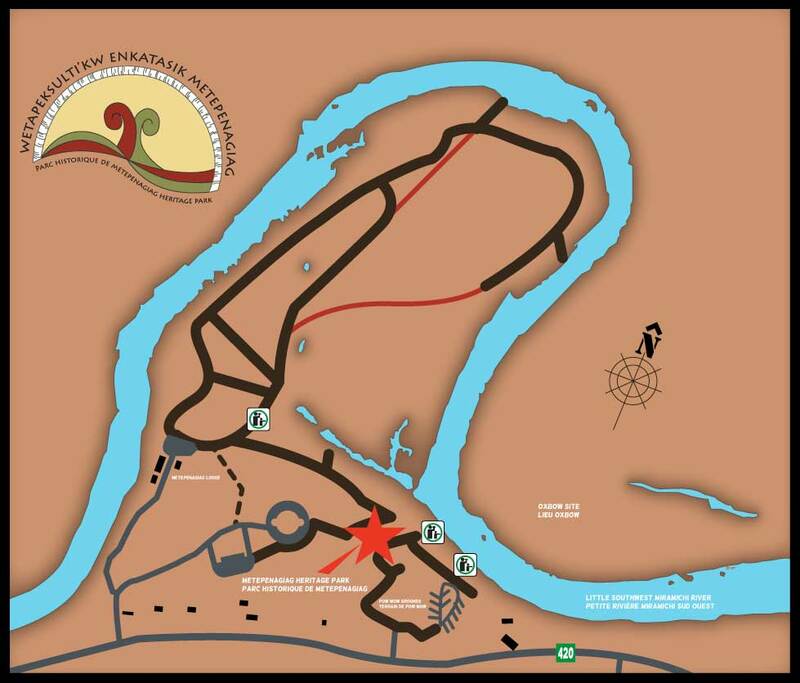 Metepenagiag Heritage Park is happy to provide you with a Trail Map upon request. Daily – 10 a.m. – 5 p.m.
Tours and Groups are welcome to book a visit or use our facility for conferences or meetings during the off season. Contact us and we will happily confirm details with you.